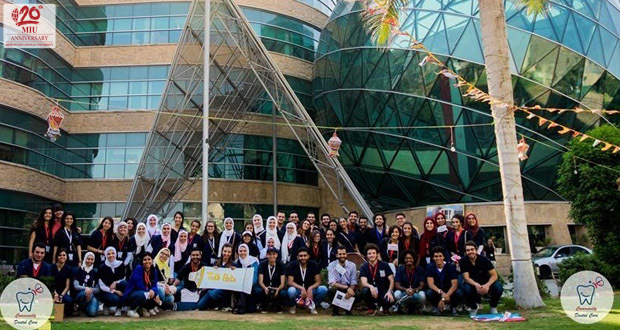 The Faculty of Oral and Dental Medicine sustains its role in spreading oral and dental health knowledge among different categories of the community. 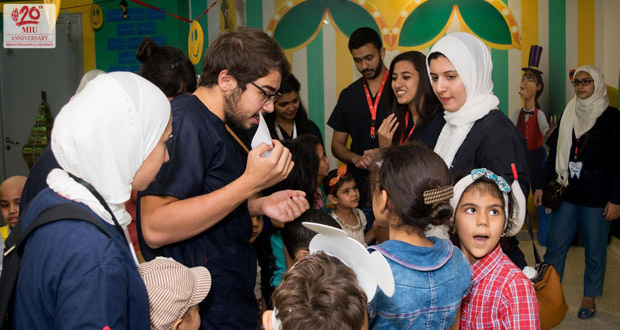 Community Dental Care (CDC) Student’s club organized a visit to 57357 Children’s Cancer Hospital on Thursday 15th June 2017. The aim was to raise awareness regarding oral hygiene, oral and dental problems related to chemotherapeutic treatment among cancer patients. All age groups as well as staff members of the hospital were invited to the event. 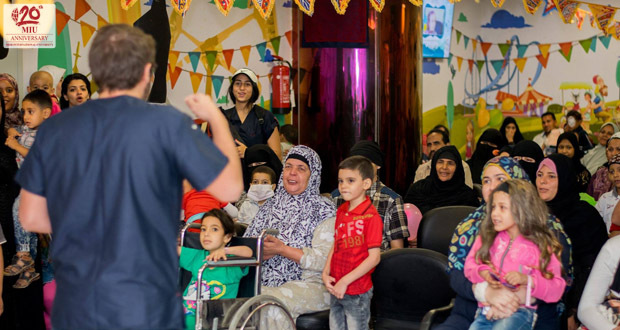 The activities started with an educational play held at the theatre which allows for 70 attendees followed by an awareness session all around the hospital. 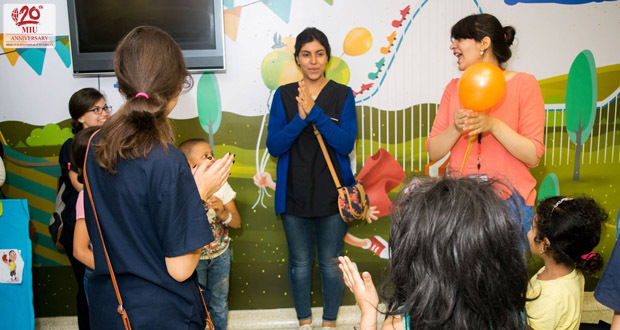 Handcraft and painting activities were held at the art room in the hospital to help raising the morale of the children. At the end of the day, toothbrushes, toothpastes and varieties of gifts were distributed to all participants.